In 1984, The People branded Ian Bone 'the most dangerous man in Britain'. They were only too close to the truth. From the inner city riots of 1981 to the miners' strike and beyond, the butler's son and founder of Class War was indeed a greater thorn in Margaret Thatcher's side than the useless blatherings of the Official Opposition. Class War was the real opposition! It was Ian Bone who linked the inner city rioters of Brixton and Handsworth with the striking miners. 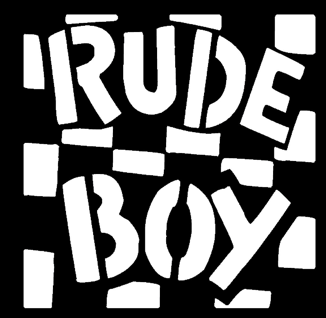 It was Bone who The People spotted rioting with miners in Mansfield, attacking laboratories with the Animal Liberation Front, and who was fingered by the Guardian as the man behind the 1985 Brixton Riot. But that was only the half of it... from 1965 to 1985, from Swansea to Cardiff and London the mayhem spread countrywide. In Bash The Rich Ian Bone tells it like it was. From The Angry Brigade to The Free Wales Army, from the 1967 Summer of Love to 1977 anarcho-punk, from Grosvenor Square to the Battle of the Beanfield, from the Stop the City riots to Bashing the Rich at the Henley Regatta, Ian Bone breaks his silence. 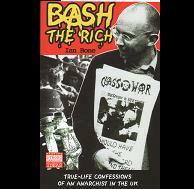 In the 1980s, Ian Bone was 'The Anarchist In The UK' with a half brick in one hand and an incendiary pen in the other. Better yet though, this is more than just a litany of riots and rucks, however exciting. Its a thoughtful examination of class, struggle, and social change. And a wonderful, vital piece of social and political history. Absolutely mandatory.